Trust me. 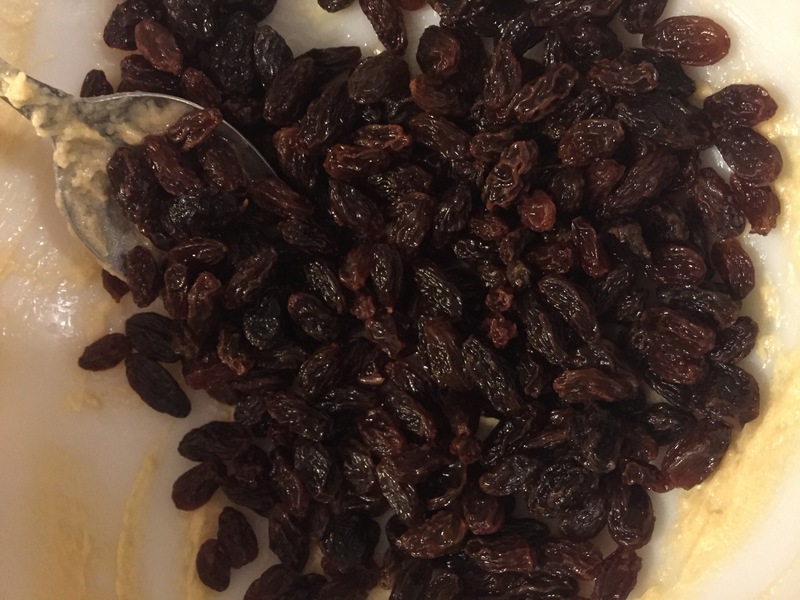 You will thank me for sharing my tweaked recipe! I like to consider myself a Caesar salad dressing connoisseur. There is nothing better than a traditional Caesar salad made with fresh ingredients! I love restaurants that make it table side and hate those that claim they make in-house dressing only to find it to taste like it came directly out of a store bought bottle! I use to think making Caesar salad dressing at home would be too much! I spent so much money on trying to find the best store bought option. I was always disappointed! With tweaking recipes I have found I now have my favourite Caesar salad dressing! Hope you enjoy it too! 1) Mince garlic and mix with maynaisse, miracle whip, lemon juice, worseshire sauce, finely chopped anchovies, olive oil, salt and pepper. 2) refrigerate overnight or atleast let sit for a few hours to let flavours set. You can also mix and instantly use. But I found refrigerating and enjoying the next day made for a tastier salad dressing. 3) Don’t forget to top the salad off with fresh Parmesan cheese! Let me know how you enjoy this Caesar salad dressing!! Apple pie is always a favourite. 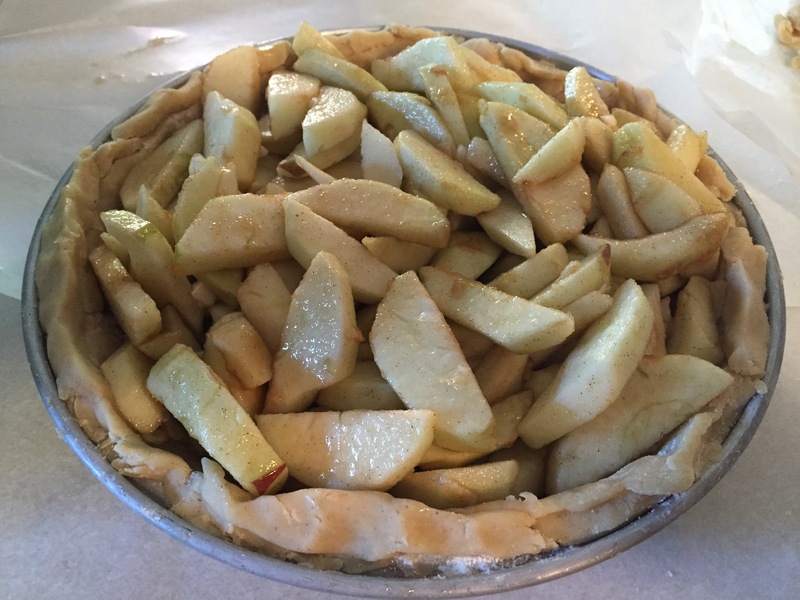 It is mostly associated with the Fall season but apple pie anytime is a crowd pleasure! It’s also super simple to whip together and is always tastey! 2) With the apple slices in a bowl mix in the lemon juice, brown sugar, salt and cinnamon. Place this in a pie shell. Place top crust on top. 4) cook for about 60 minutes. Pie should be bubbling through out. There is one normal ingredient missing from this recipe – Oats. We are currently omitting oats from our diet as we are concerned about gluten exposure. Also my husband was eating homemade oatmeal on a regular basis and he was getting subtle gluten exposure symptoms – which have stopped since we stopped the oats. So if you want to (and oats make this recipe even more yummy!) add 1 cup of quick oats and one cup of large oats to the recipe. 1) preheat oven to 350. 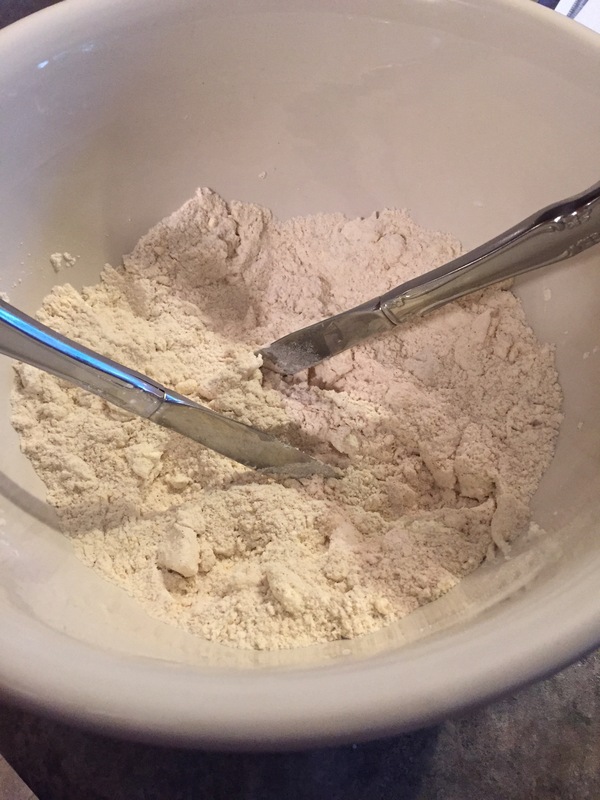 Measure out dry ingredients and add to bowl. 2) beat together butter and sugar until light and fluffy. 3) blend in eggs and vanilla. 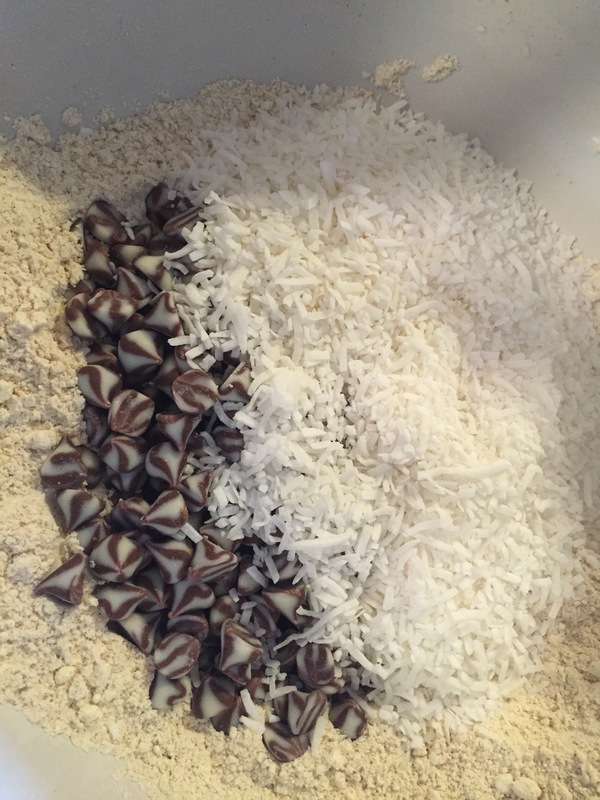 4) add dry ingredients. Mix well. 7) bake for about 14 minutes – cookies should be a nice golden colour. 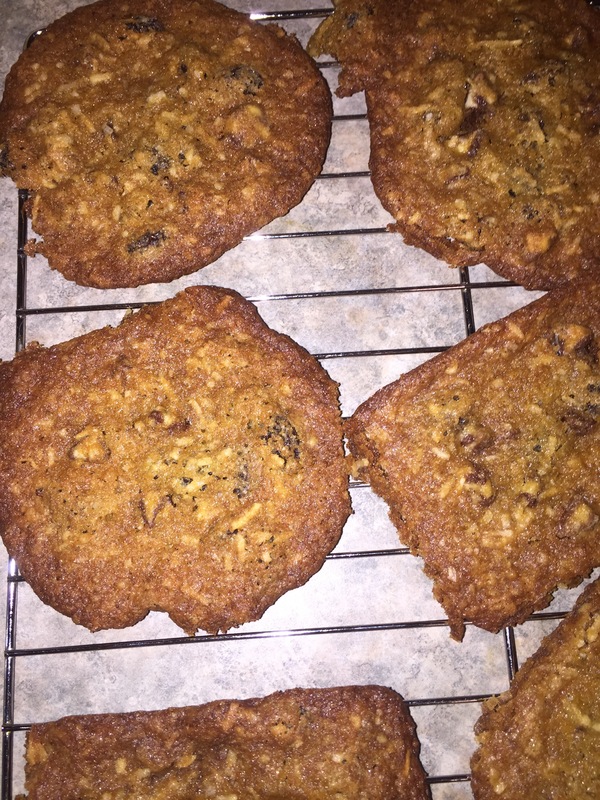 I usually let them cool on the cookie sheet for a couple minutes before carefully (these cookies when hot easily break apart) using a spatula to transfer them to a wire rack. Once cool these cookies are crispy on the outside and soft on the inside! Enjoy! Since giving birth 8 months ago my makeup routine has drasticly changed or maybe I should say adjusted! I’m not sure when I got into the habit of having makeup on before going out anywhere…I don’t remember caring about makeup in high school – but I do remember loving lip gloss! I like how foundation smooths out and evens my skin tone; I love playing up my eyes and how even a simple lip gloss can refresh or perk up a look. I feel naked without my makeup or rather “my face” as I and my family call it! 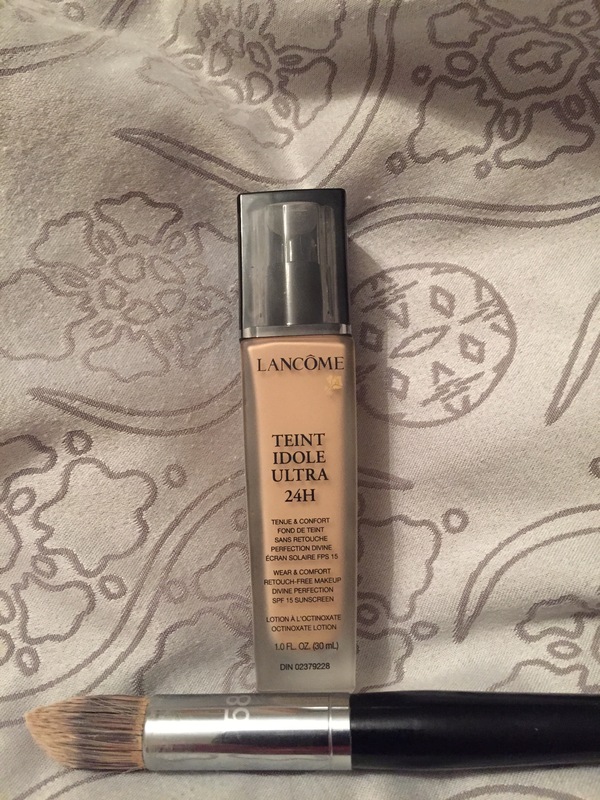 Lancôme Teint Idole Ultra 24h foundation is amazing! Let me count the ways – full coverage but light feeling. It goes on smooth and effortlessly for perfecting blending to look natural. What I love most about this foundation is the staying power- you can workout and sweat wearing it and no need for touch ups after! I loved being able to go to the gym at lunch then return straight to work. 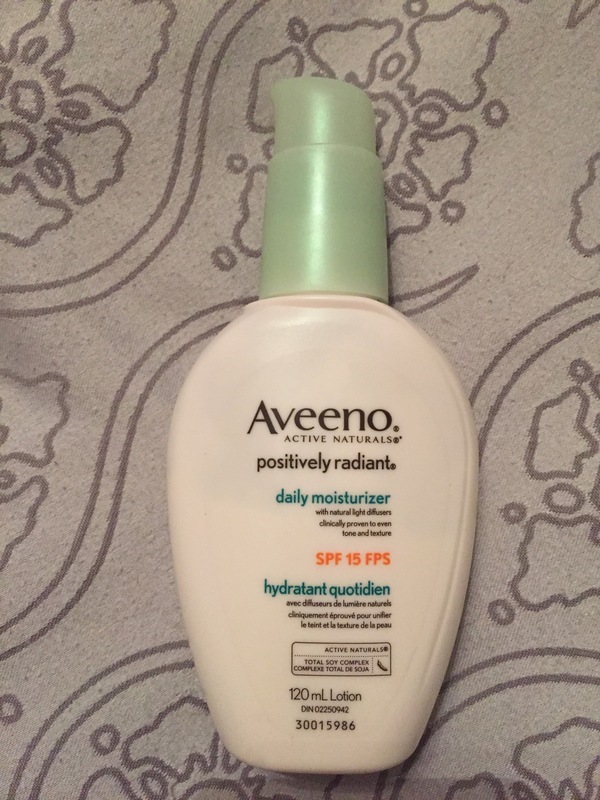 I put it to a true test when I went into labour unexpectedly at 36weeks – had my face on all day at work, went into labour later that evening and over 24hours later my foundation was still going strong! I even had the nurses asking me what I use for foundation as even they were impressed! 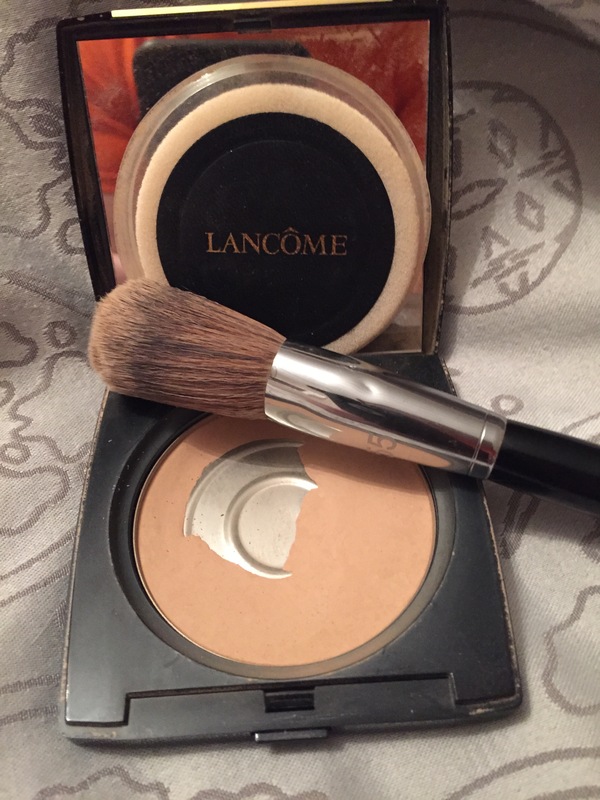 To set the foundation I use Lancôme Dual Finish Powder. Sometimes if I don’t have time for foundation I will just brush this on for a sheer look. Sometimes I choose to just put mascara on but I like choosing a light off white to beige eye makeup colour to brighten my eyes – especially if I’m feeling or looking tired. 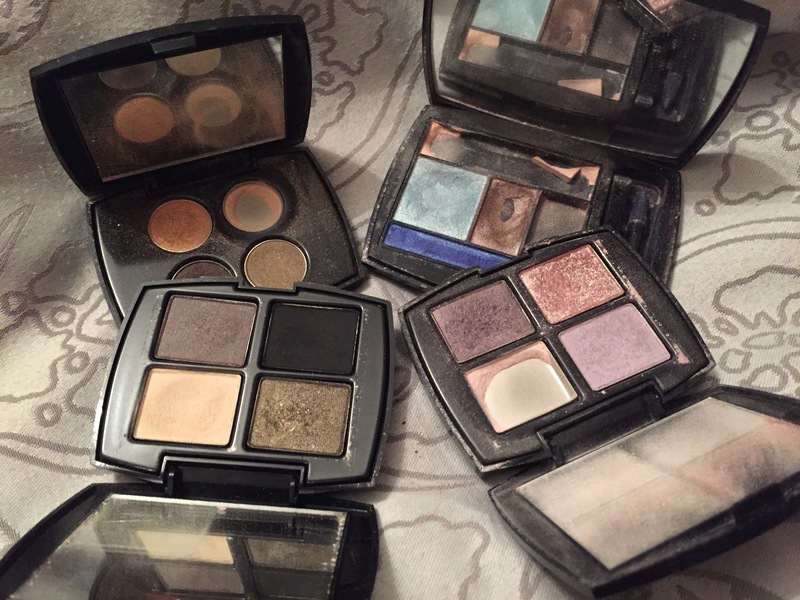 As you can tell from my picture – you can tell which shades I use most!! I have naturally thick eyelashes but mascara helps extend the length and intensify the thickness. I haven’t always been a fan of mascara as I always found no matter the promise of wet and smudge proof, low and behold as the day went on I would get mascara smudges under my eyes. 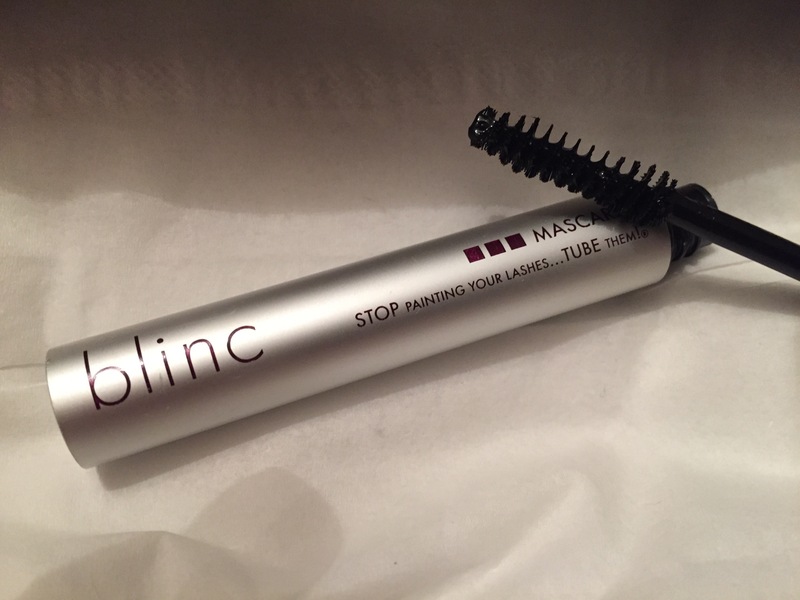 Then my estitician introduced me to Blinc mascara – I’ve faithfully and happily been using this brand for the last couple of years! What makes Blinc mascara unique as it “tubes” your lashes and won’t come off without warm water and gentle massage! Way back when I use to use lip liners, lipstick then gloss! I am a huge fan of the lipstick markers/stain followed by my favourite Lancôme juicy gloss. And presto my makeup routine to get out the door with baby in tow is now about 10minutes! It’s a fresh simple makeup look now – perfect for the on-the-go Mommy! What are your tricks and tips for looking fresh faced since becoming a mom? Once the temperature drops I start craving homemade soup. 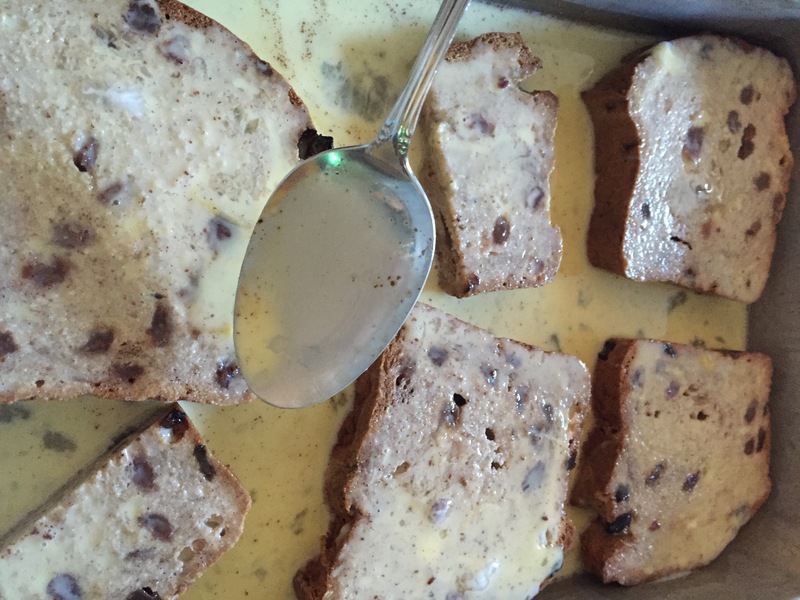 And what goes wonderful with soup – my Nana’s Buscuits! But for us they are now gluten free – but with a bit of tweaking they are almost as good as Nana’s! 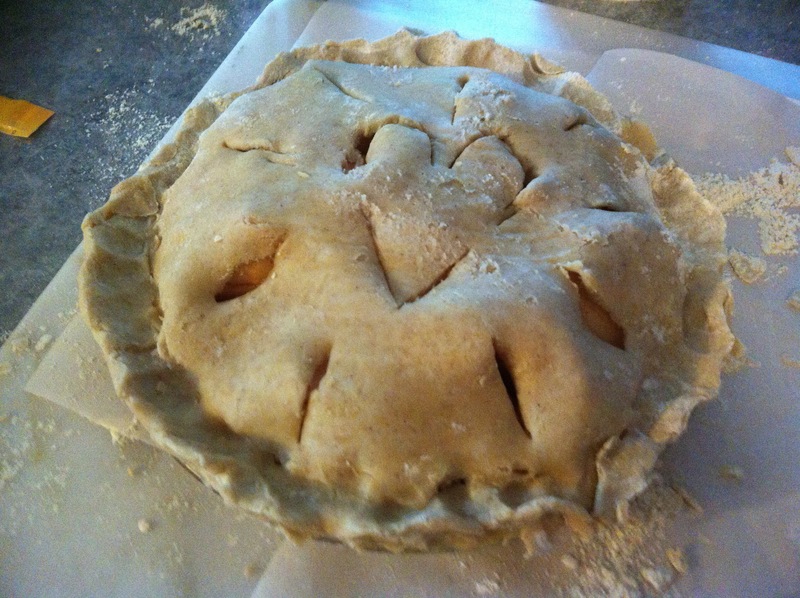 2) cut in shortening using a pastry blender or 2 knives. 3) Add milk. If the dough is a bit dry add a bit more milk. It needs to be a moist dough consistency. 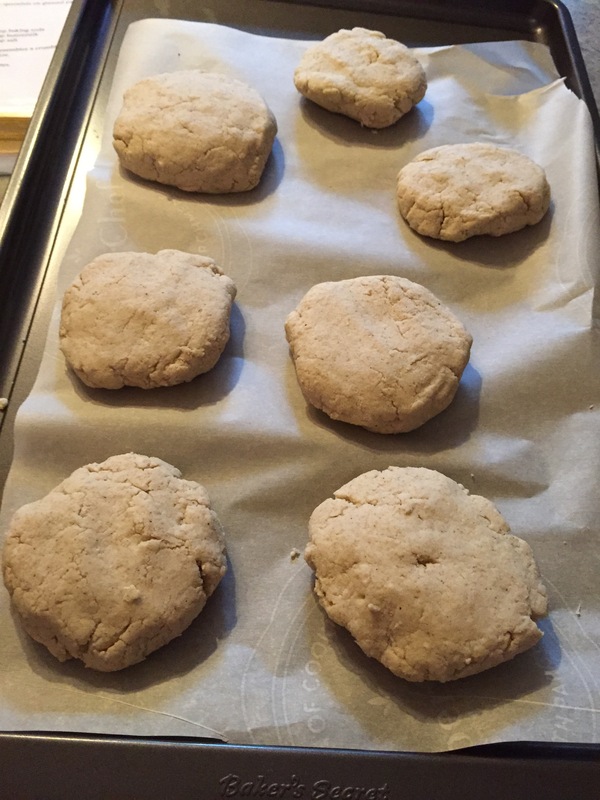 4) Roll up into small balls and flatten to liking (these Buscuits won’t rise) Place on parchment paper. Bake for 14minutes then flip them over and cook for another 4 minutes. I find they cook more evenly with flipping them over. 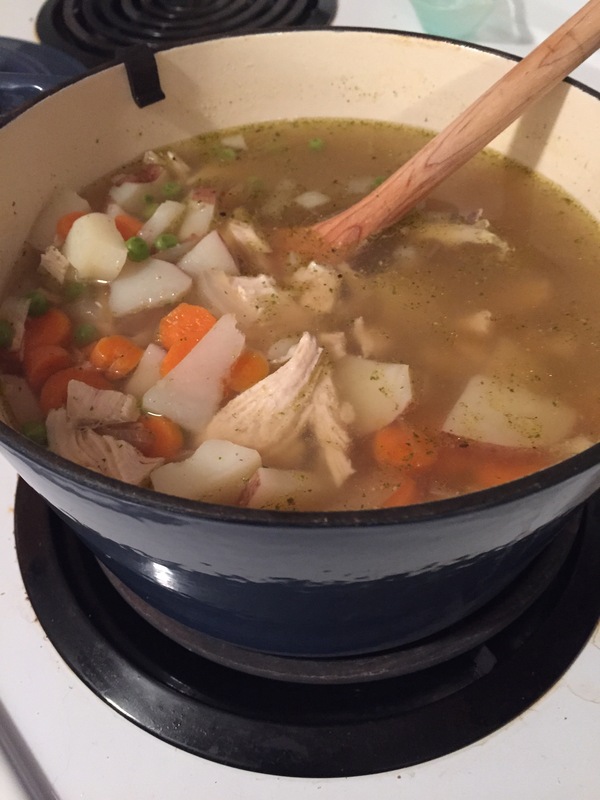 What I love about homemade chicken soup is that you can make it with whatever you have. 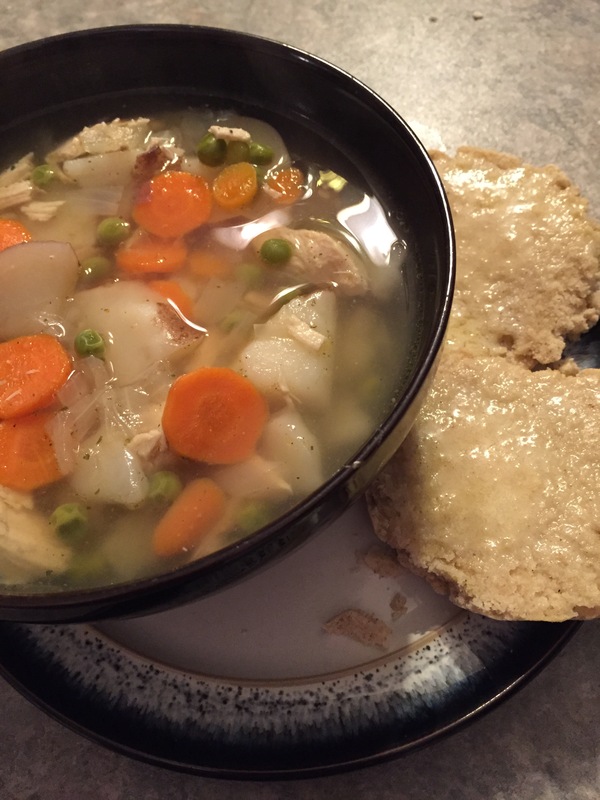 I started with Gluten Free chicken broth and threw in a large frozen chicken breast. Cook on medium-low for 2 hours. I sprinkled in some poultry seasoning, seasoning salt, Mrs. Dash and ground pepper. After 2 hours I removed the chicken breast and sliced the meat off the bone. Return the chicken back to the soup! I chopped a small onion and threw it in. I then added 2 potatoes, 2 large carrots, a cup of frozen pees. Depending on what you have on hand you can add anything. Enjoy your simple comfort food meal perfect for a fall day! What’s your go to homemade soup? 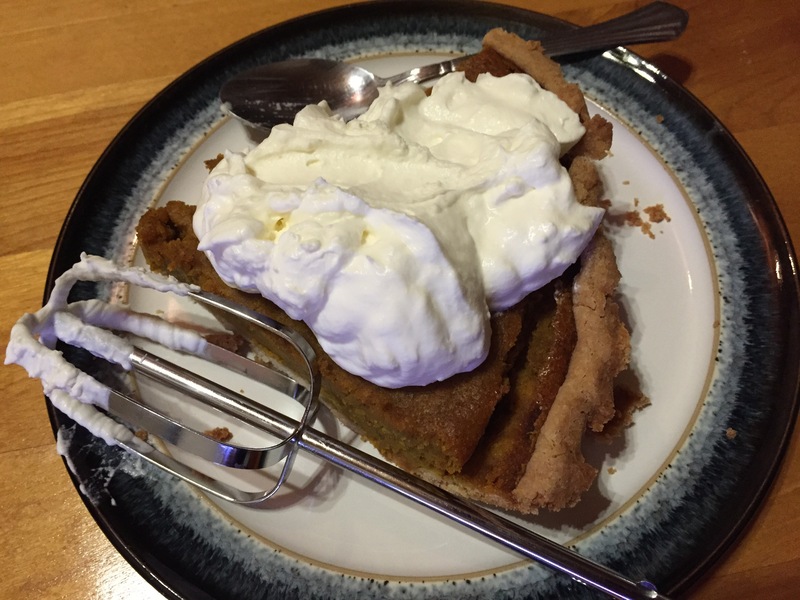 Homemade dough is amazing – no store bought pie crust can touch homemade pie crusts! So when we had to become a gluten free family I wondered how or if we would ever enjoy flaky pie crust again. 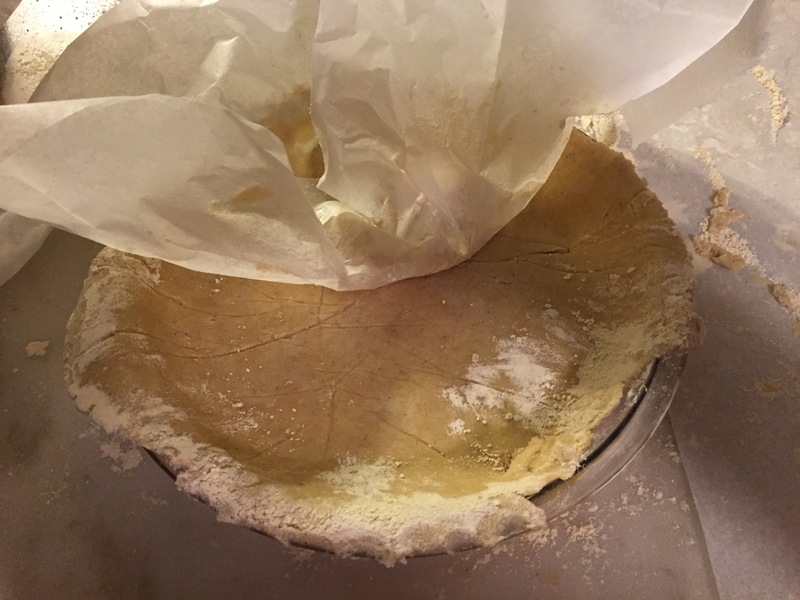 If you have never attempted gluten free pie dough before be warned that it isn’t at all like gluten dough – easily falls apart when making the shell and more finicky BUT I promise you once it bakes it will be flaky goodness and no one will realize it’s gluten free or know the pain you had getting it to that point!! 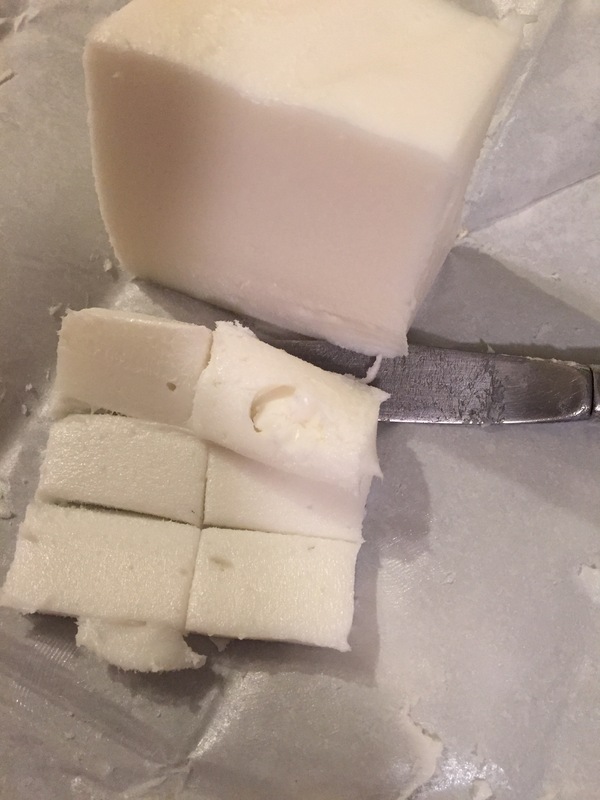 I follow the TenderFlake pure lard recipe with a couple adjustments – I always found those other GF recipes I could find online too extreme and complex. 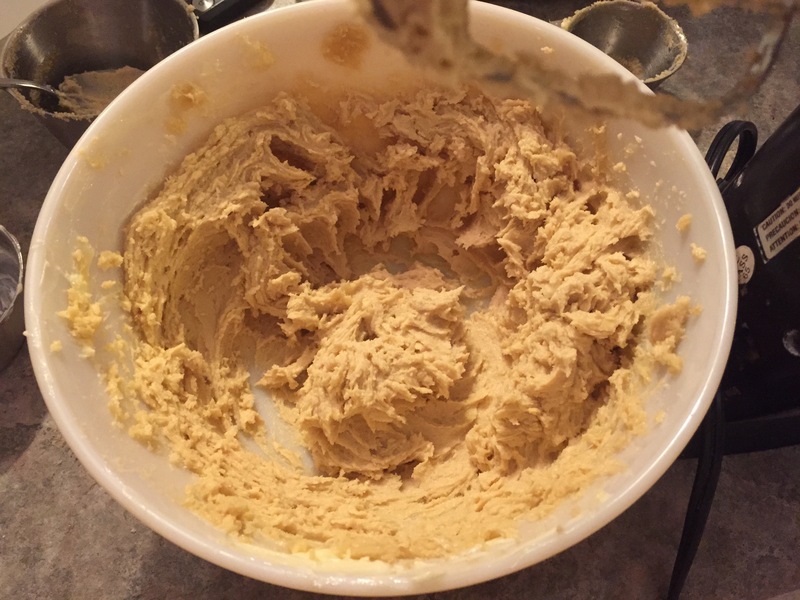 So my challenge and goal was to use a tried and true family recipe but make it gluten free! 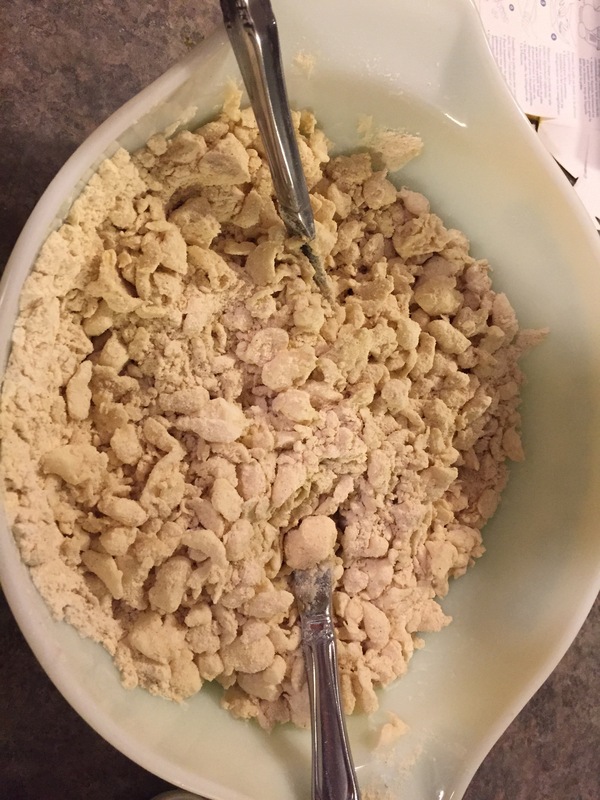 3) Cut in the lard with a pastry blender or 2 knives until mixture resembles coarse oatmeal. 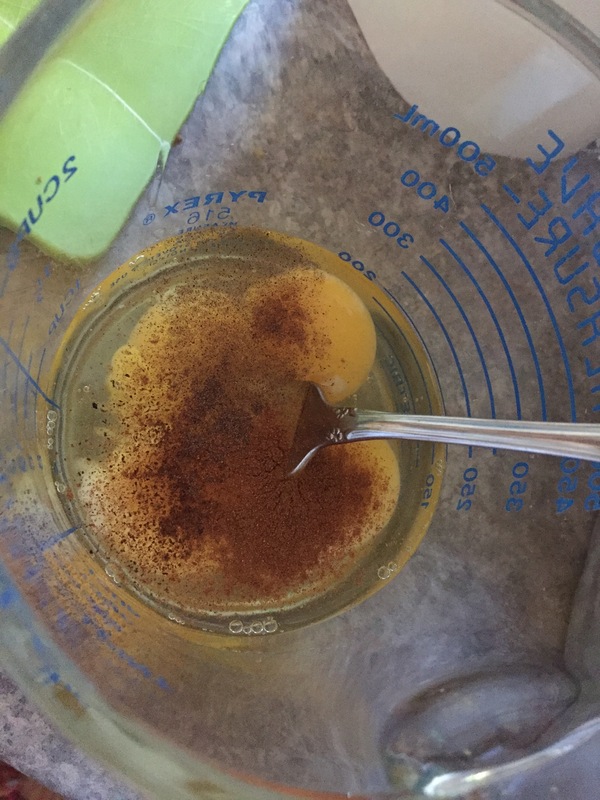 4) In a 1 cup measuring cup, combine the vinegar and egg. Add cold water to make 1 cup. Gradually stir liquid into the lard mixture. Mix well. I find the best way to mix it thoroughly is with my hands. If it is still a bit dry, very carefully add a bit more water. 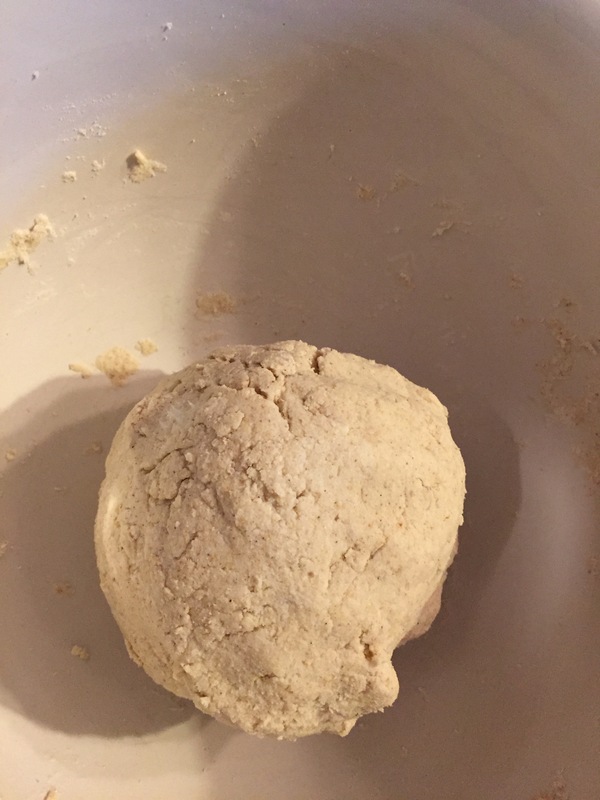 The dough should cling together and easily gather into balls. I divide into 6 portions. I wrap each one individually with plastic wrap. For the one(s) I will use I put in the fridge to chill for 30 minutes. All others I freeze for next time. After chilling the dough, I dust wax paper (on my marble pastrie slab) with gluten free flour. 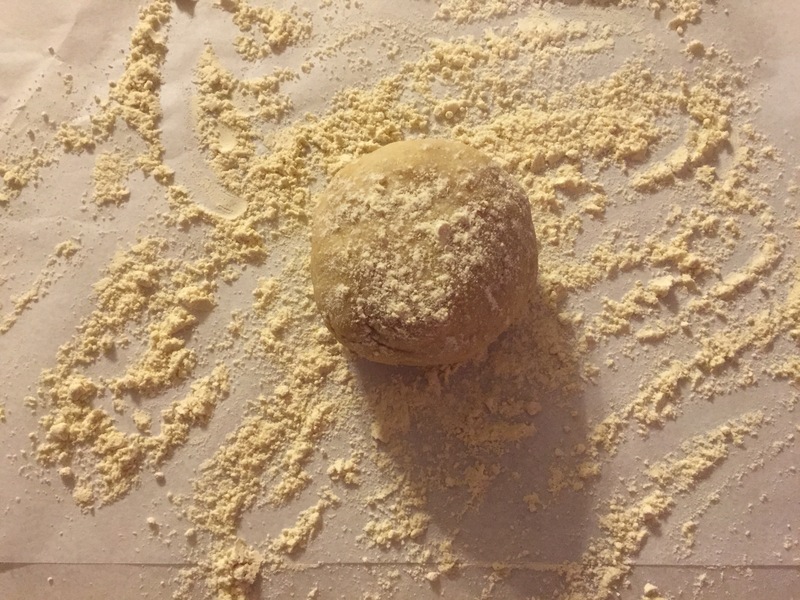 Place your dough ball on top and lightly dust the dough with flour. Then I place a layer of wax paper on top before I start rolling out the dough! Why dusted wax paper? 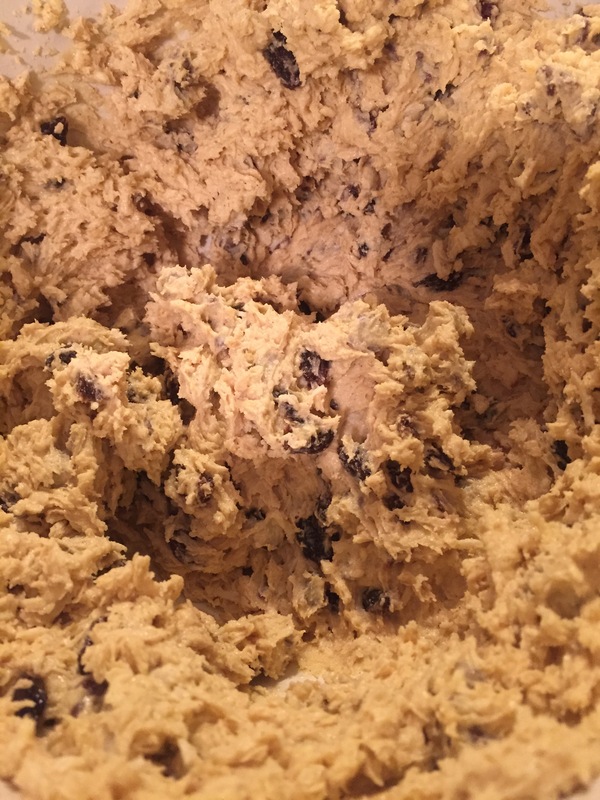 Trust me – this dough is sticky! 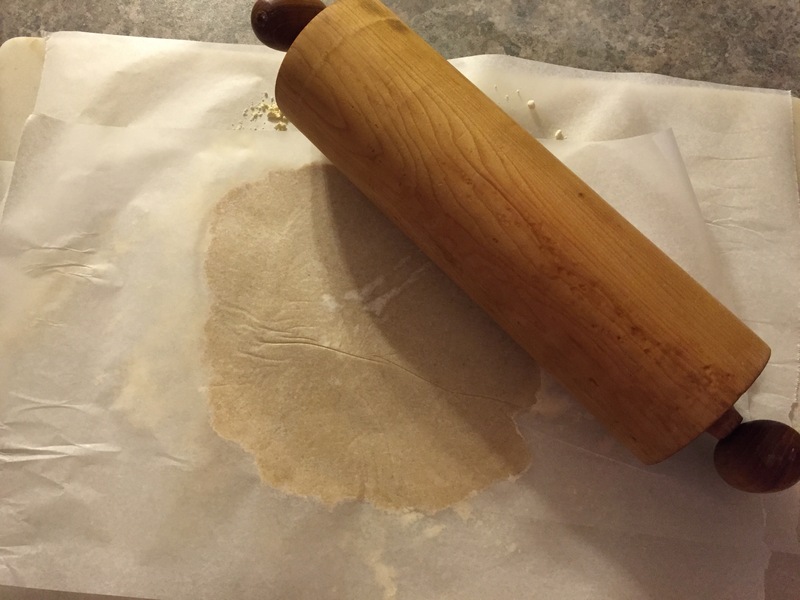 The dusted wax paper helps it roll out and won’t be all over your rolling pin! After a few rolls very carefully and slowly pull up the top layer of wax paper. 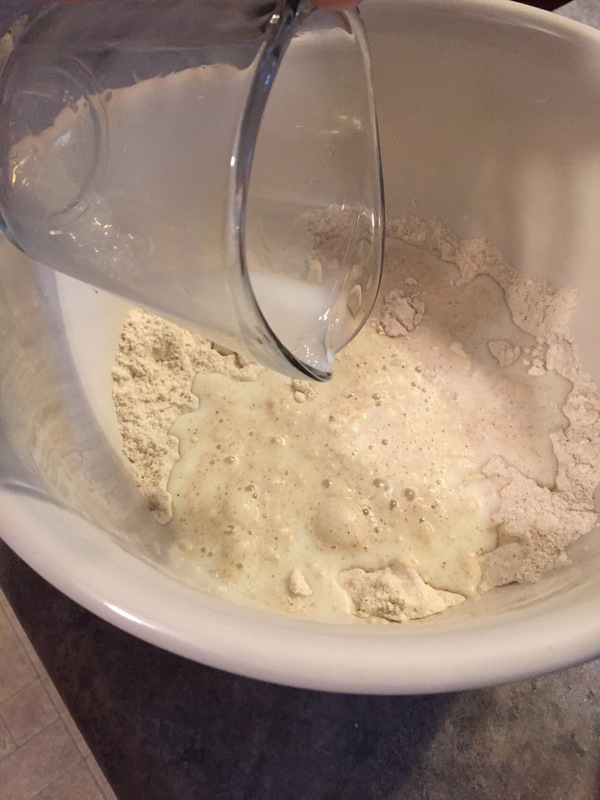 Re-dust the dough. 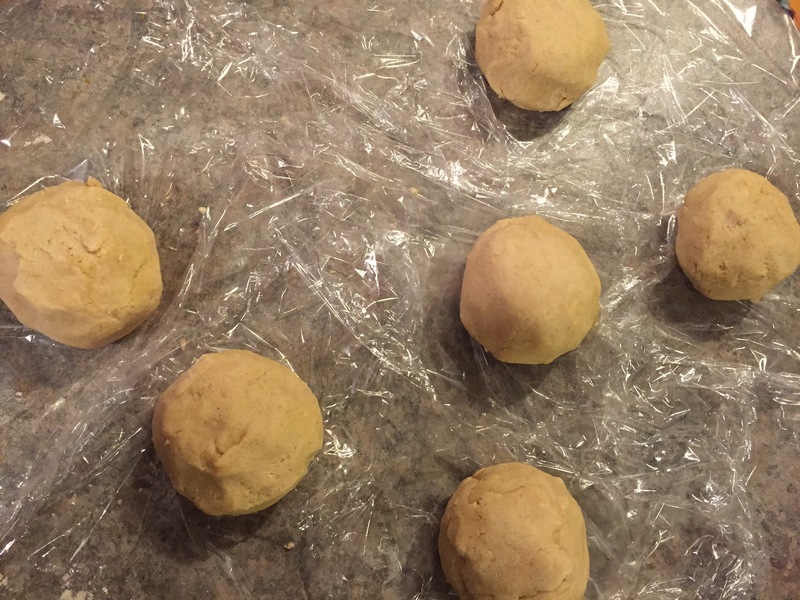 If you don’t do this and keep rolling, the dough will be very stuck to the wax paper and you have to start over. 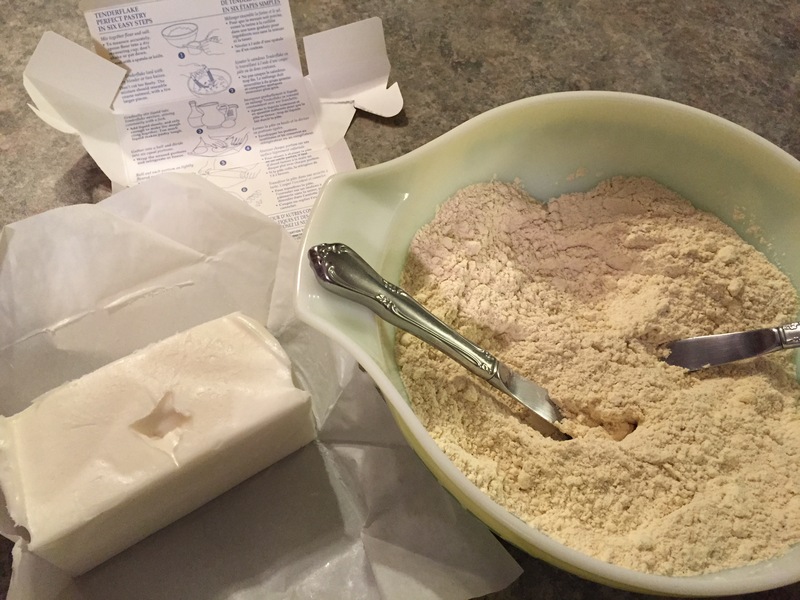 The dough after a few rolls is naturally lightly stuck to the paper. If you need to, lightly dust your fingers to carefully help hold the dough as your pulling off the wax paper. Sometimes putting the dough back into the fridge and letting the dough cool a bit helps the wax paper release. 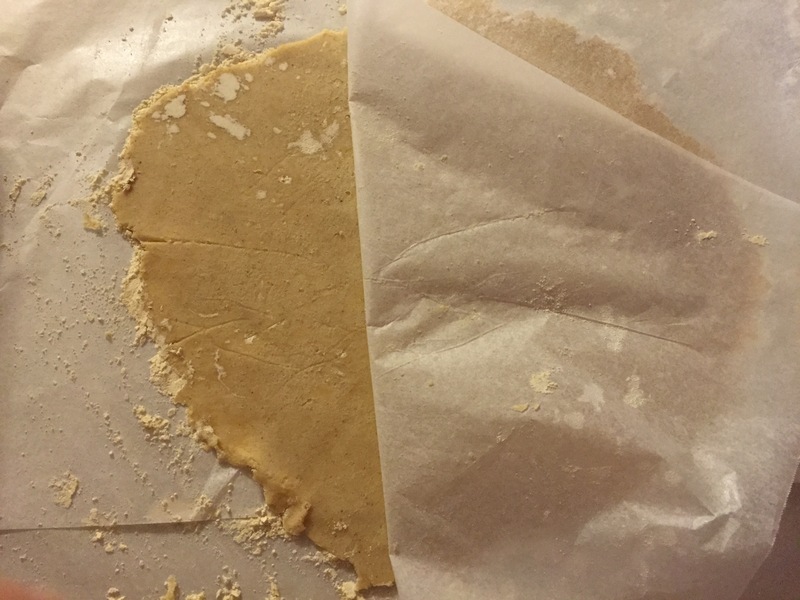 To get the bottom layer of wax paper off the dough it is best to chill for at least 10 minutes. 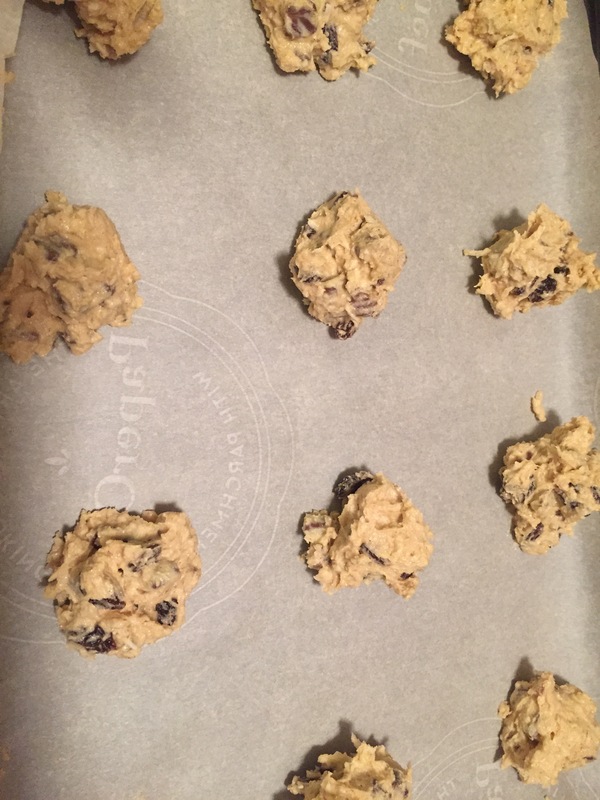 Remember the dough is well attached to the wax paper. Dust your fingers with flour. Very carefully and patiently remove the wax paper. 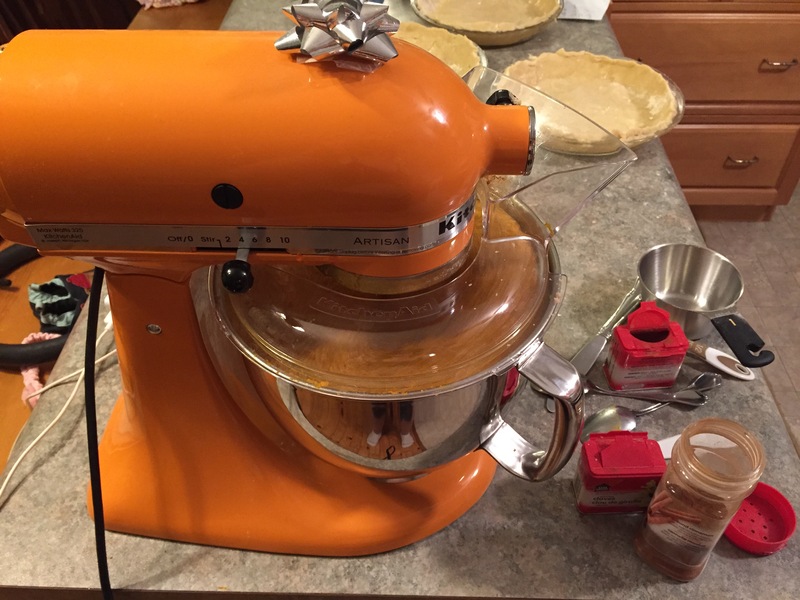 I have found its easiest to remove after you have flipped the dough into the pie shell. If parts of the dough rip don’t fret. Re chill the dough and mould or add a piece. As the dough becomes warm it is more difficult. Keep chilling if need be. 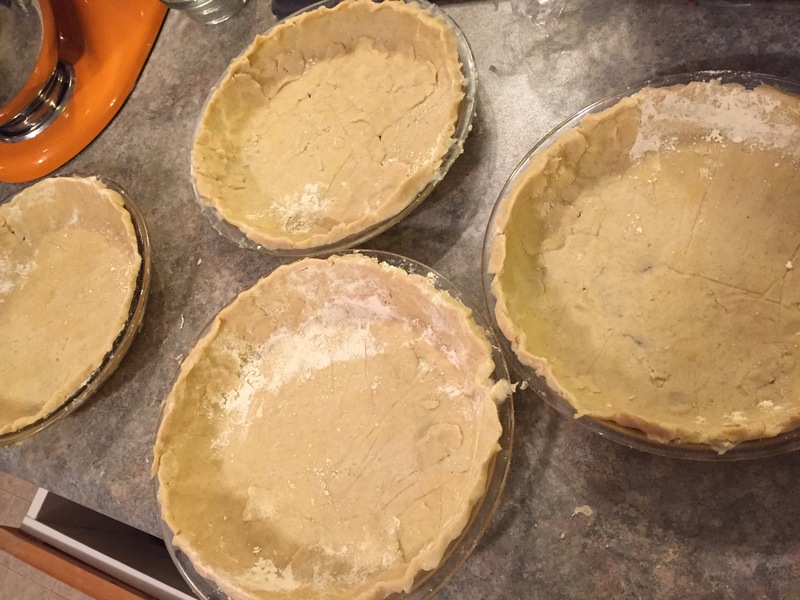 Once you are happy with your pie shells I keep them cooling in the fridge while I make my filling. I hope you enjoy my tastey, flaky crust!! It’s well worth the fuss! Let me know if you try making it and how you made out!! Fall is a beautiful time in Muskoka – the vibrant colour change of the leaves, the crispness to the air and our Canadian Thanksgiving. It’s a time in Muskoka to celebrate another summer past, closing up of cottages and saying goodbye to tourists for another year. It’s also a time to get together with family and celebrate Thanksgiving. 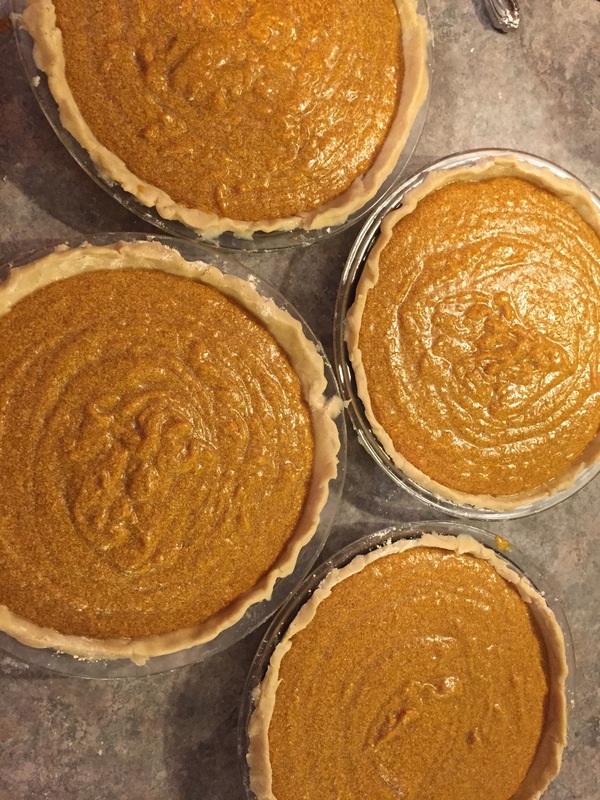 I have wonderful memories of making Thanksgiving pies with my grandma and mom. As my grandmother became older and less mobile her job became the overseeing of our production and the taste tester of the filling. This recipe is a hit with family and friends. I hope you enjoy it as much as we do! 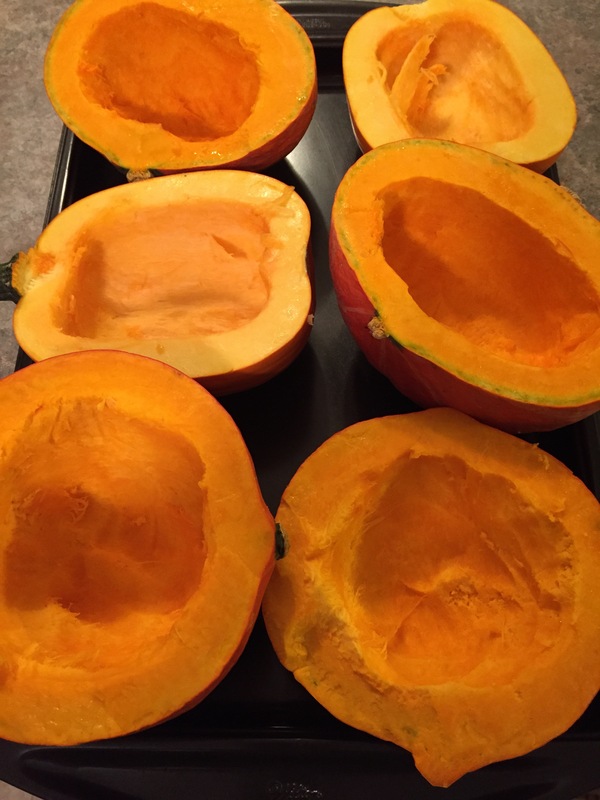 2) let roasted squash and pumpkin cool. 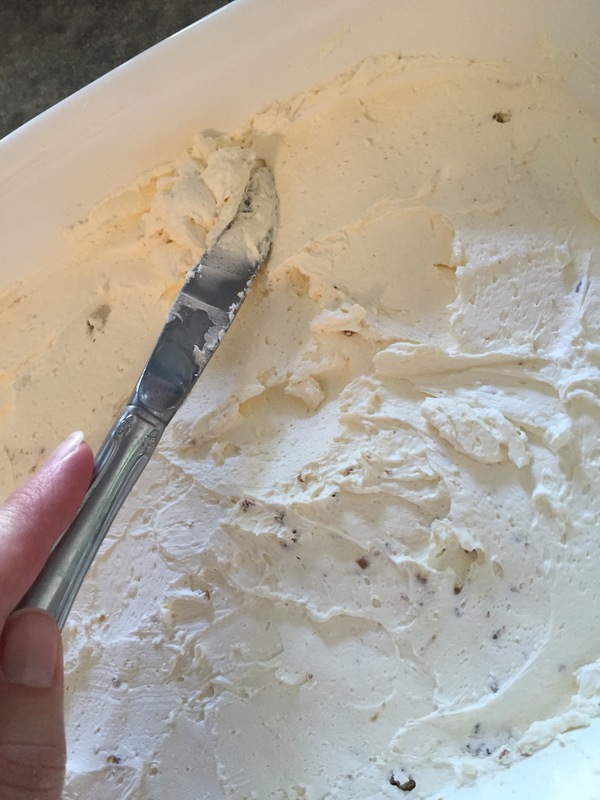 Scoop out into measuring cup (this allows you to know how many pies you will be making or want to make). Then put into mixing bowl. 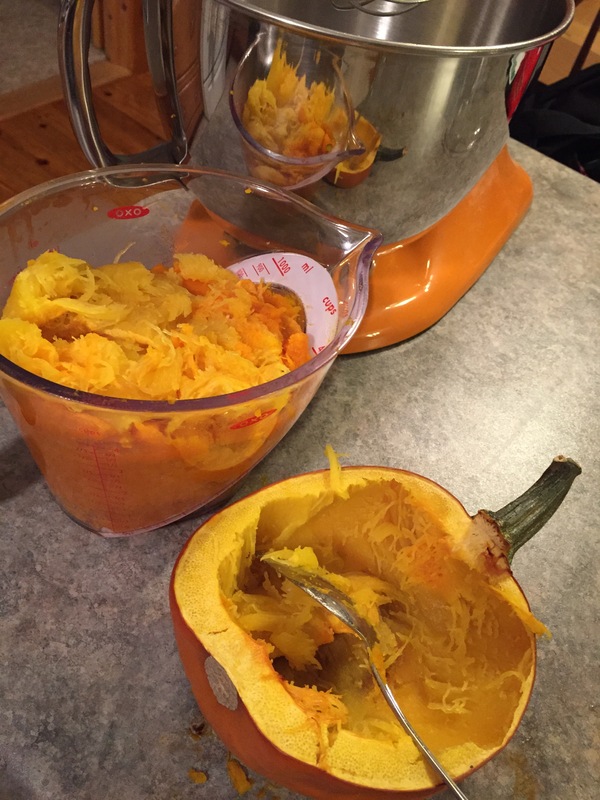 Mix the squash and pumpkin in the mixing bowl until it’s nice and smooth. 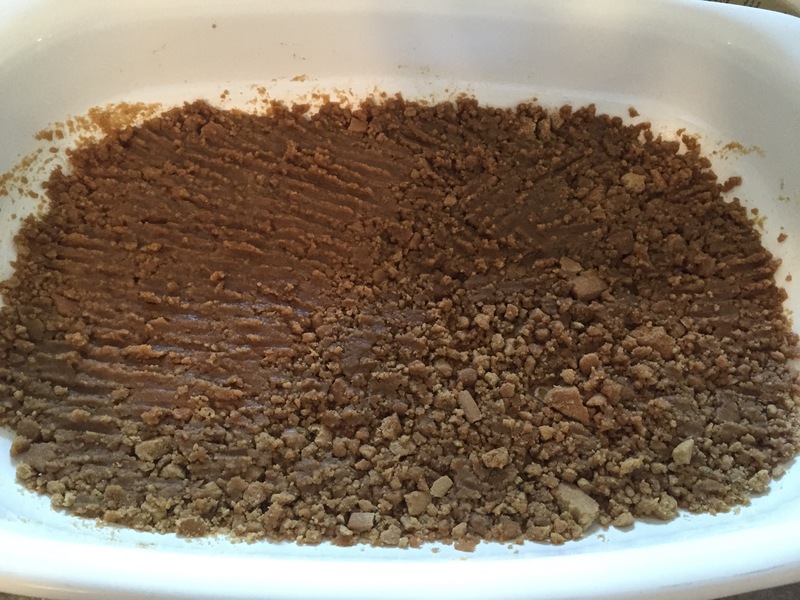 3) Add the brown sugar and salt followed by the liquid ingredients to the mixing bowel while it’s mixing. Add the eggs last (if your squash is still warm you may cook the eggs by accident – therefore adding the cold cream first may help to cool the mixture down before the eggs are added). Then add spices. Mix well then taste test. If it’s not spicy enough to your liking add a bit more spice. 5) cook at 400 for 10minutes. Lower the temperature to 350. Cook until a butter knife put in the centre of the pie comes out clean. My pies took 50minutes to cook after lowering the temperature but it’s oven and pie size dependent! 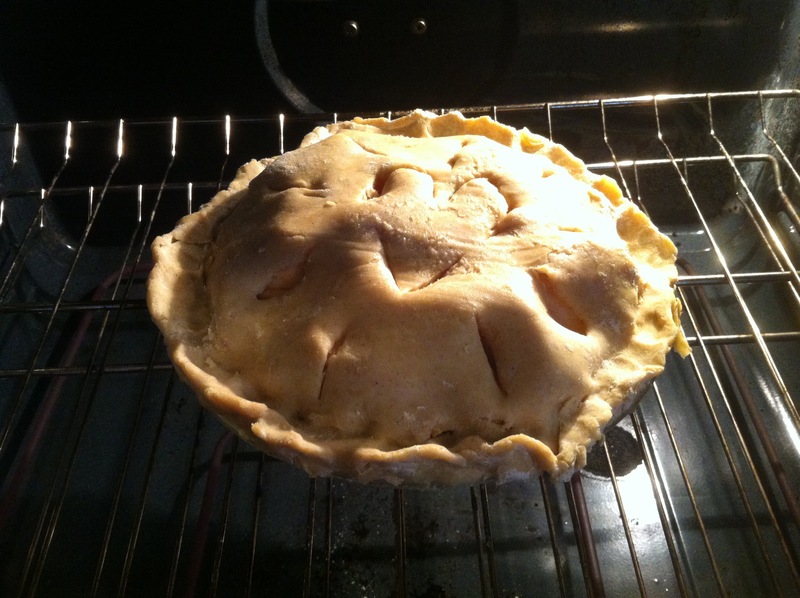 6) Place the cooked pies on a wire rack to cool. 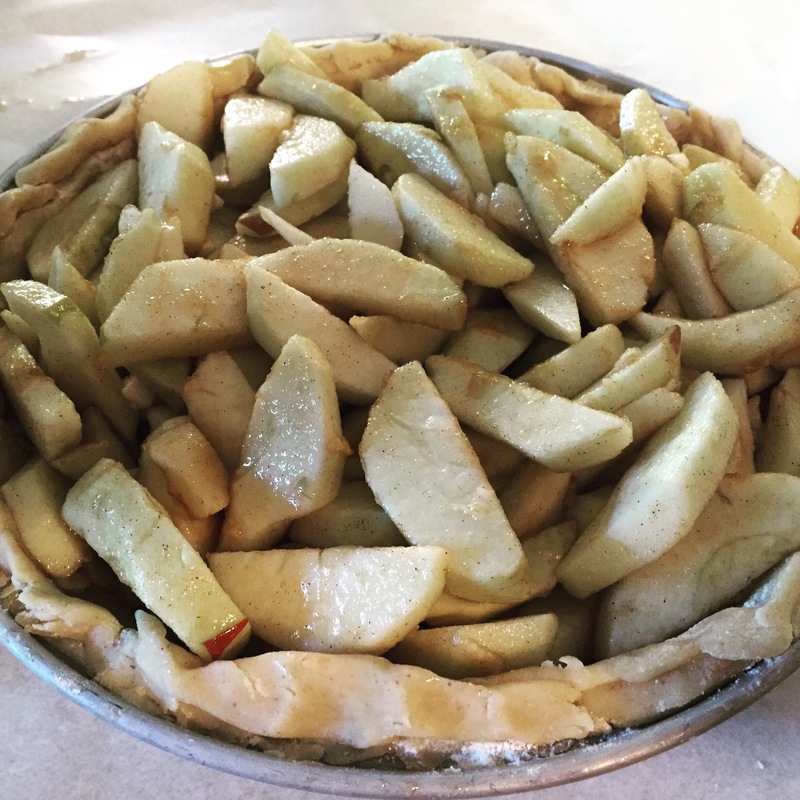 Let me know how you enjoy this pie recipe! Hopefully it becomes a family favourite for you too! My parents have a very large garden – come the fall we become over run with Zucchinni! There is so much you can do with Zucchinni – bake it, add it to soups, spaghetti sauce, vegetable dishes and add it to baking! One of the favourite things I like to do with zucchinni besides baking it with onions, garlic and tomatoes is to make muffins and bread out of it! 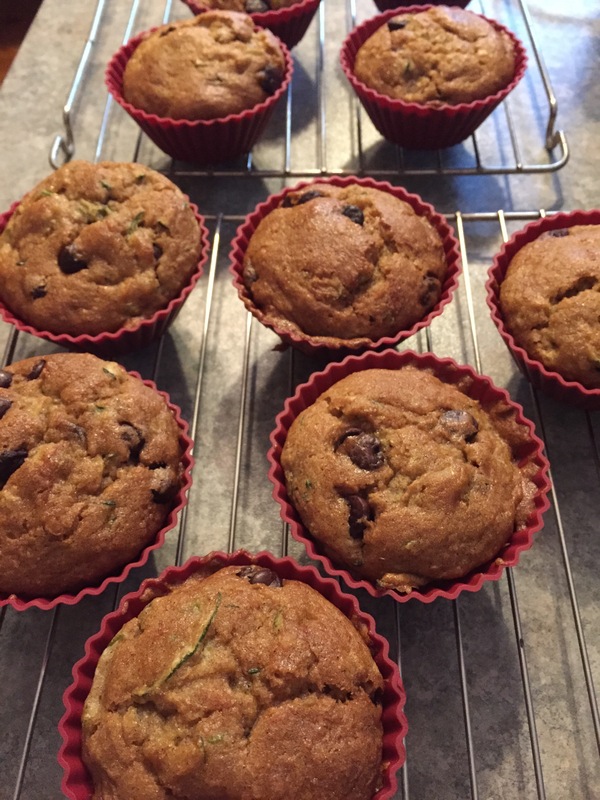 I had an easy zucchinni muffin recipe that I loved pre- celiac and thankfully it easily was coverted to a gluten free one! This recipe is moist and flavourful – the right spices to make this a go-to-fall muffin recipe! 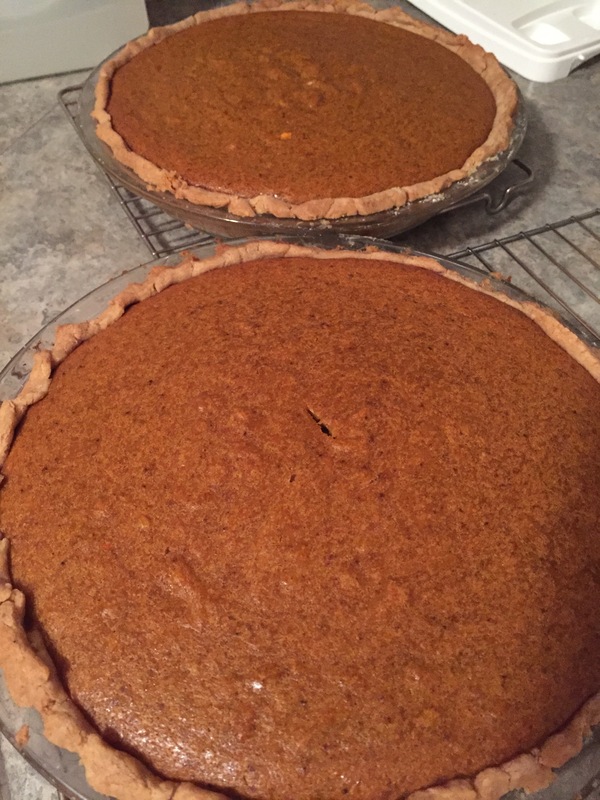 Pumpkin doesnt have to be the only thing associated with fall cooking and baking! 1)Start by preheating oven to 350 degrees. Line muffin tin with liners. 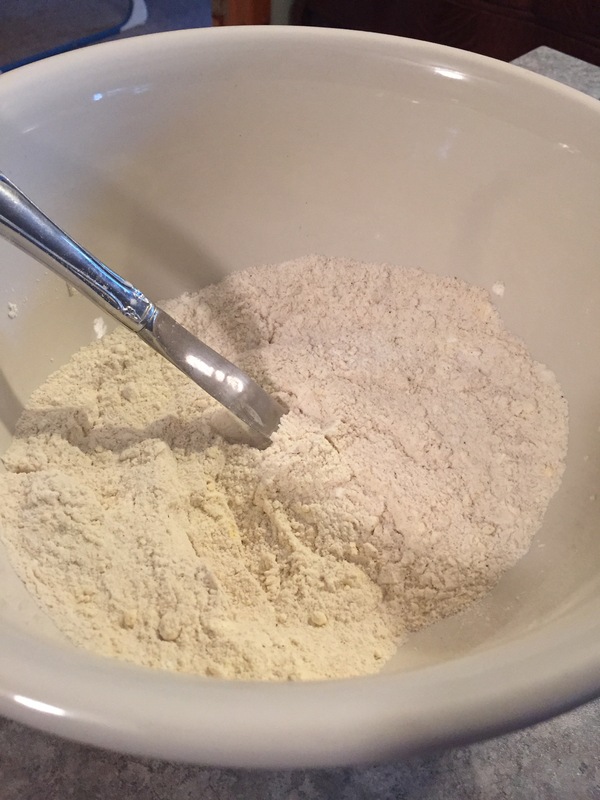 Combine flour, xanthum gum, sugar, baking soda,cinnamon and salt in a bowl. Mix egg, oil, milk, lemon juice and vanilla extract in another bowl. Mix wet ingredients intro dry ingredient bowl. 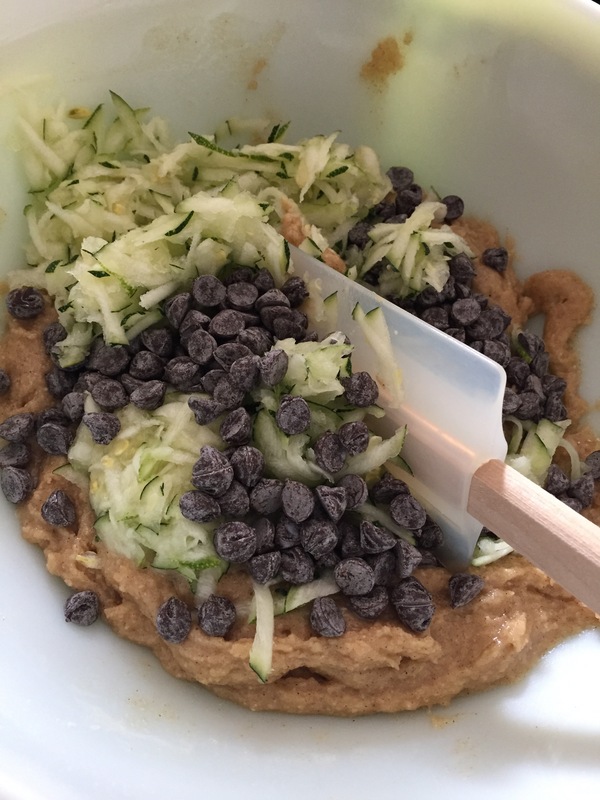 Fold in Zucchinni and chocolate chips. 2) Fill muffin liners 2/3 full. Bake in preheated oven until a toothpick inserted into the centre of a muffin comes out clean. 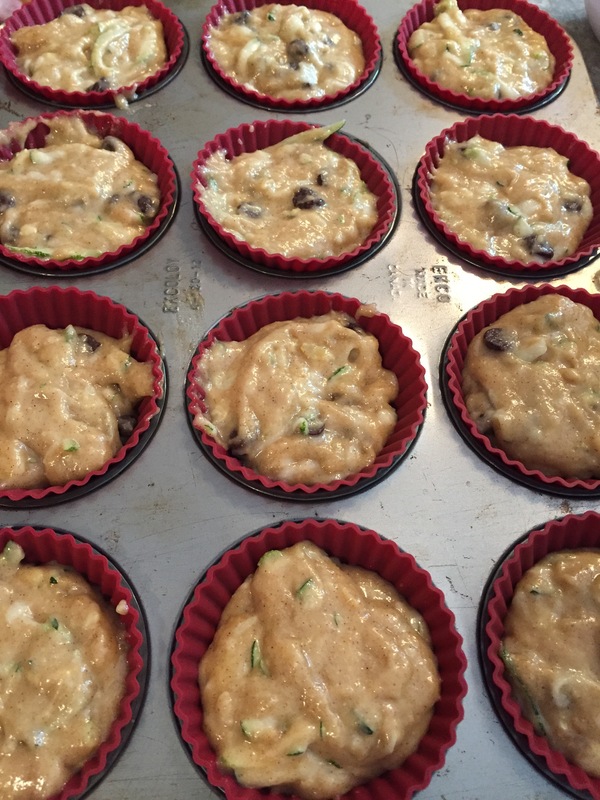 With my silicone muffin cups I start checking the muffins at 25minutes – then slowly add more time as needed. For paper liners these muffins may be done by 20-25minutrs but it’s really oven dependant! Baked to perfection!! I hope you enjoy these as much as we do! 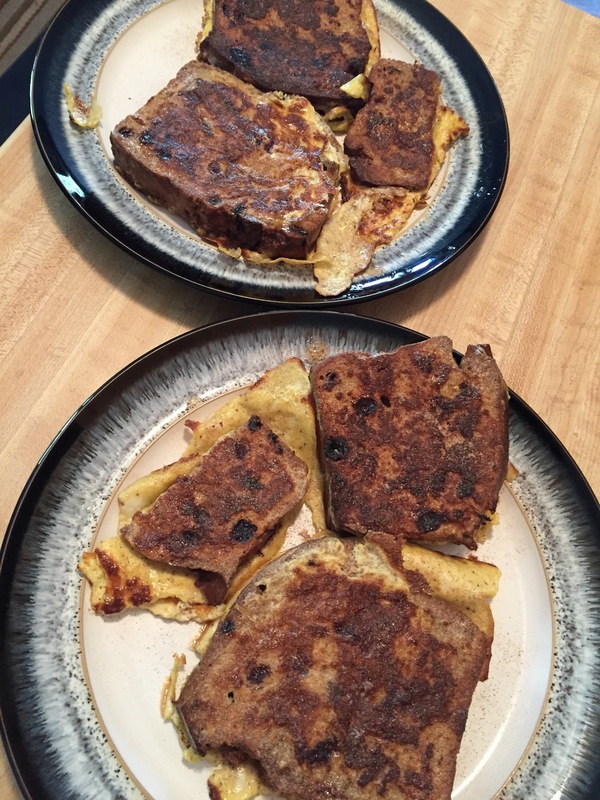 French toast is a weekend staple at our house. Imagine our sadness when we thought that we would never enjoy french toast the way we did before our celiac diagnosis. Thankfully we have an amazing bakery in our area that makes amazing Gluten Free Cinnamin Raisin Bread! The Gravenhurst Bakery is our go to gluten free bakery for amazing bread and treats! They are very careful and totally understand the celiac gluten free requirement and need for no cross contamination as the baker’s daughter has celiac! 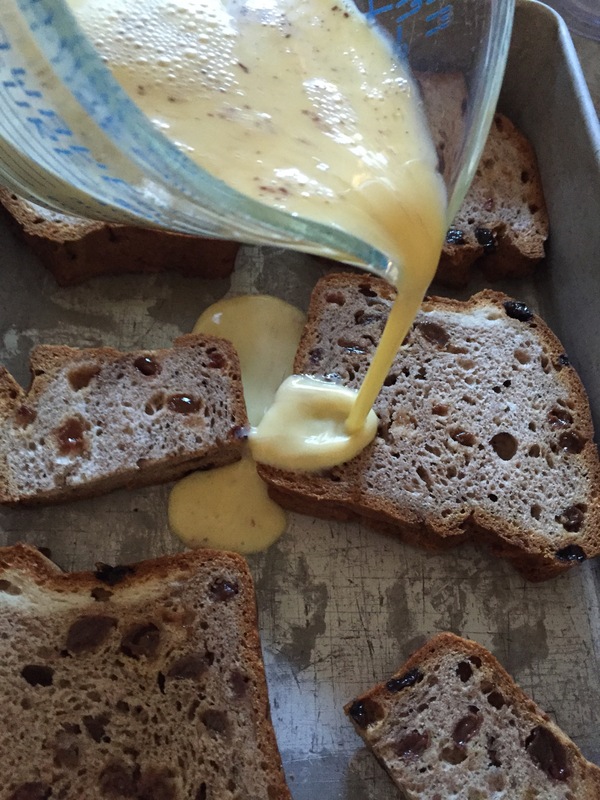 Whatever you choose as your bread this recipe will help take your French toast to the next level. 1 teaspoon of each: ground cinnamon, ground cloves & allspice. 1) In a measuring cup wisk together eggs and spices. Stir in milk. 2) Pour mixture over bread. Let bread rest for 5 minutes to soak up the mixture. 3) Flip bread over. 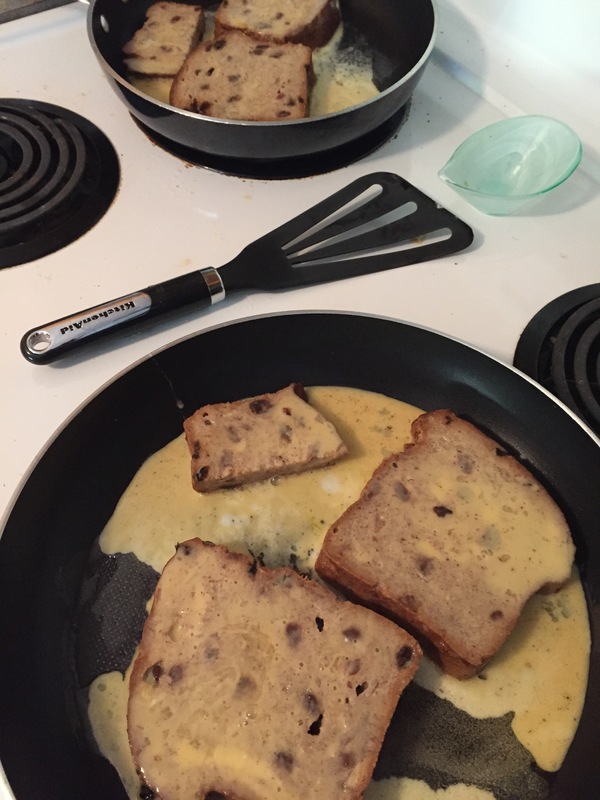 Using a large spoon pour extra of the egg mixture (that’s in the pan) on the bread. Let the bread rest another 5 minutes to soak up the liquid. 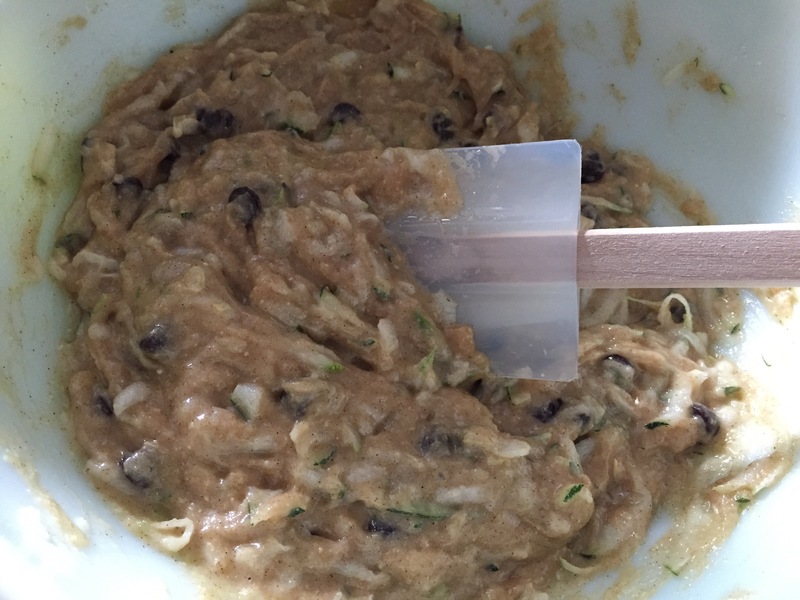 You can also continue to use the spoon and keep putting more liquid from the pan on the bread. 4) Place the bread in fry pans that are on medium heat and have melted butter covering them. Pour the excess mixture from the pan over the bread. 5) Brown on both sides. The bread will puff up a bit once cooked. Sprinkle cinnamon sugar over the French Toast. Serve with maple syrup. Enjoy!! My family love the “eggy extra”. Hopefully you enjoy this recipe as much as my family does. And if you’re ever in Muskoka stop by the Gravenhurst Bakery to try their amazing Gluten Free fresh breads and baking! My husband’s favourite pie to me is not a real pie – no fruit, no flaky crust…instead it’s probably a bakers worst nightmare – all processed…but you know what?! It is pretty delicious! It’s simple to whip together and the layers all compliment each other. 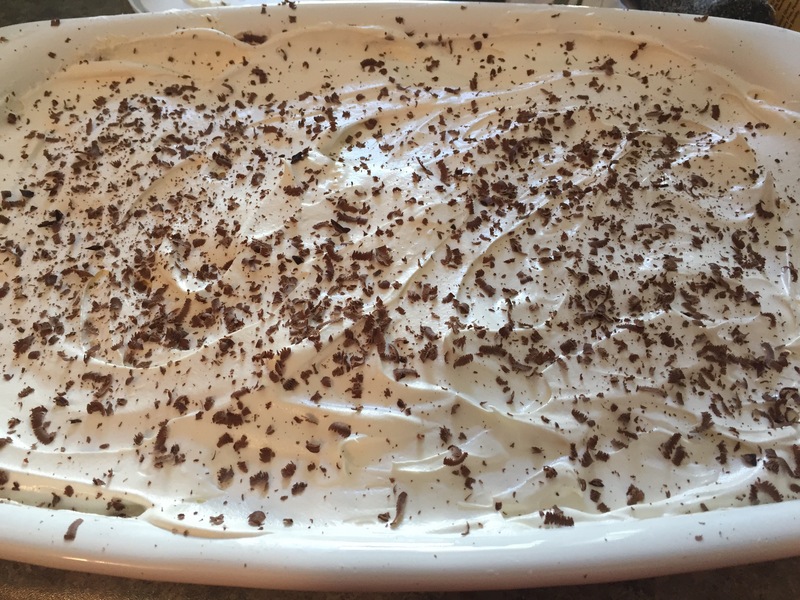 Plus I have found it to be a hit dessert to take to gatherings! Even my dad who at first turned his nose up at such a dessert is now a believer! He even asks for a second piece! 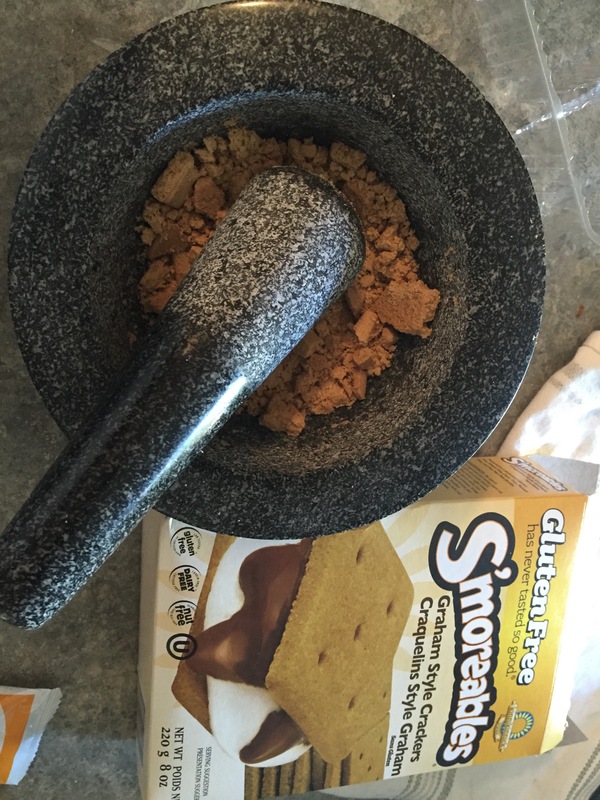 1) I was only able to find the gluten free graham crackers this time so I had to turn them into cookie crumbs to make the crust. We like a solid layer of crust so I used the whole box of crackers. 2) first layer: combine the graham wafer crumbs with atleast 1/2 cup of melted butter. 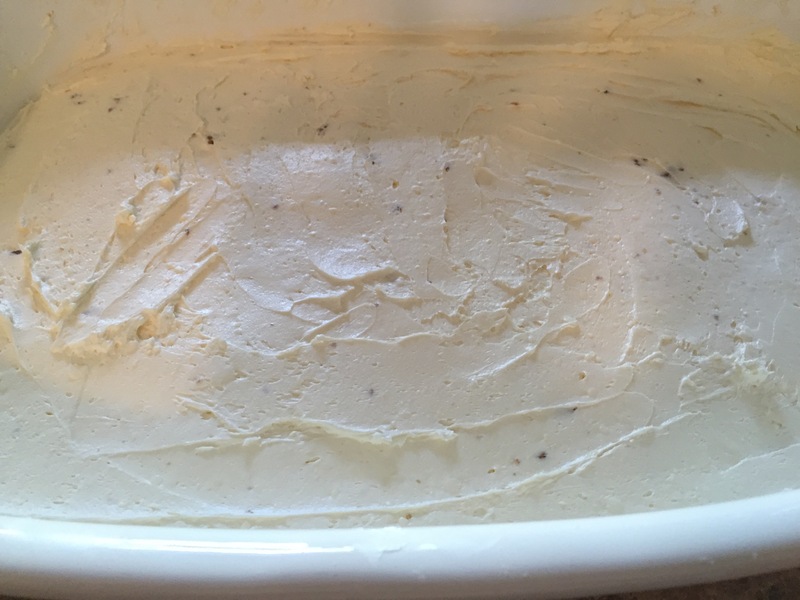 Press it into a 9×13 pan and chill (sit in the fridge while you prepare the next layer) It should be a nice consistency that easily can be patted down. I pat down the mixture with a fork. Remember the more butter you add the harder the crust will be once it’s cooled. 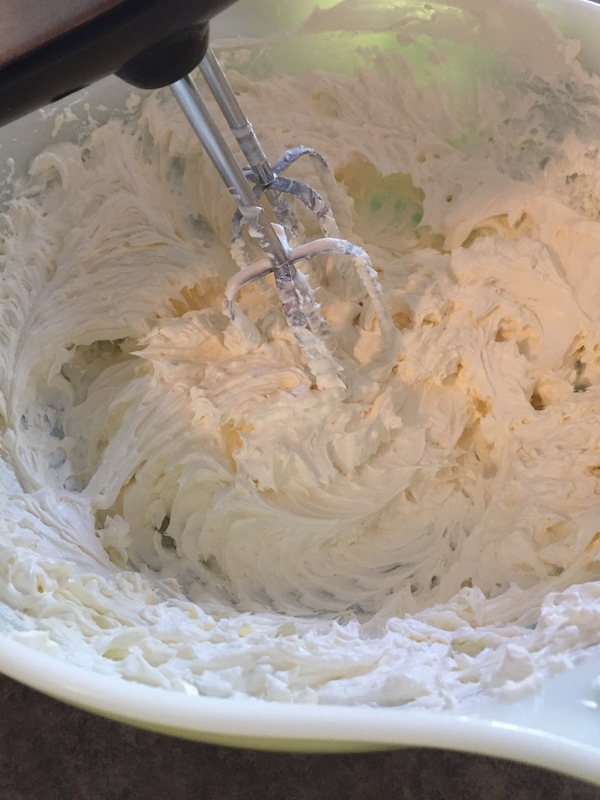 3) second layer: whip the softened cream cheese with 2 cups cool whip. Then whip in the icing sugar. Spread this mixture over the crumb crust. chill in the fridge while making the next layer. 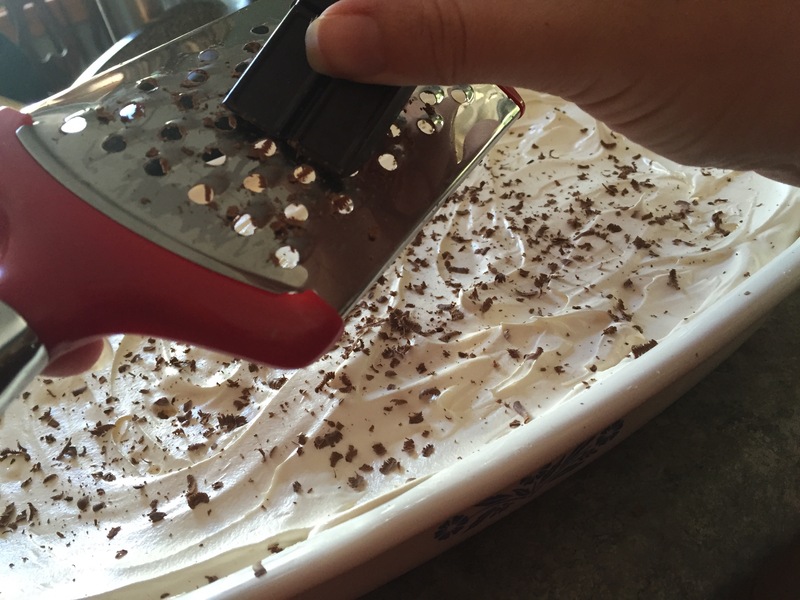 To easily smooth out and get an even coating over the graham crackers I use a butter knife. See how smooth a butter knife can make it? 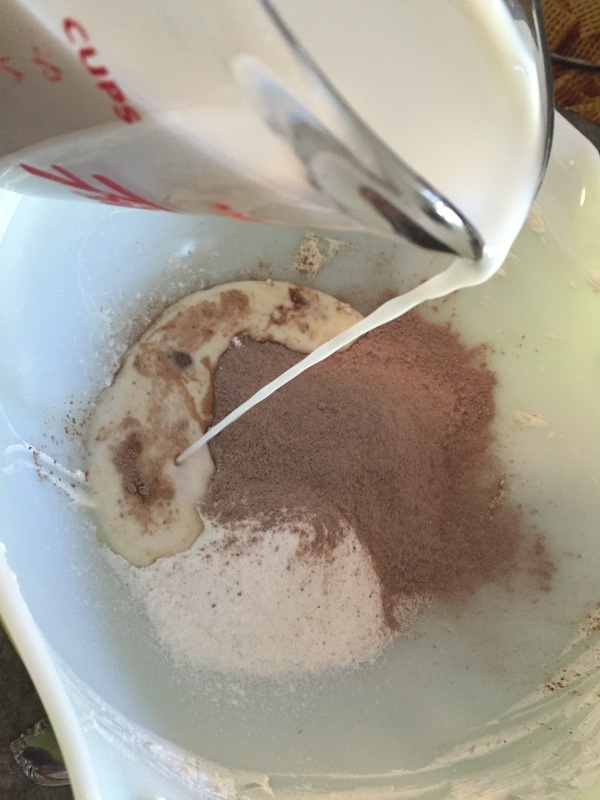 5) third layer: mix the milk, vanilla pudding and chocolate pudding together. Then spread over the second layer. Chill in the fridge for atleast 10 minutes. 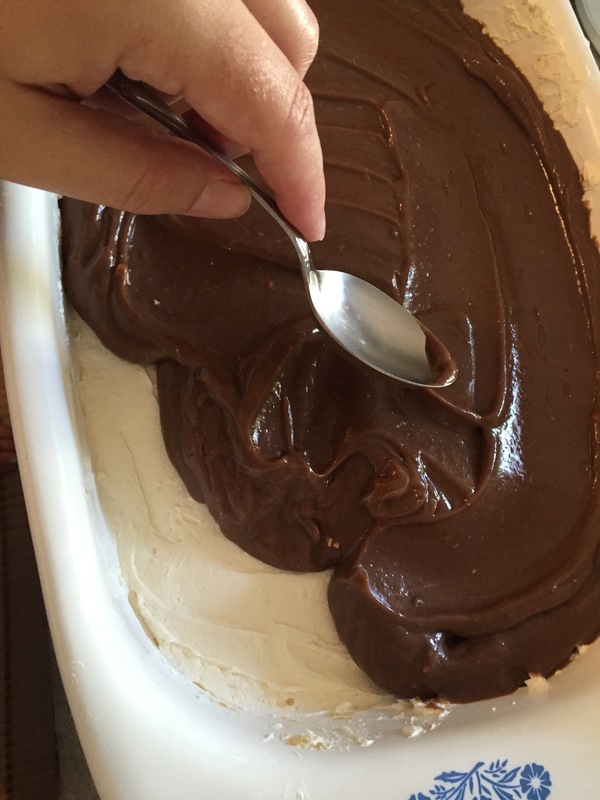 6) I use a spoon to spread out evenly the pudding mixture. 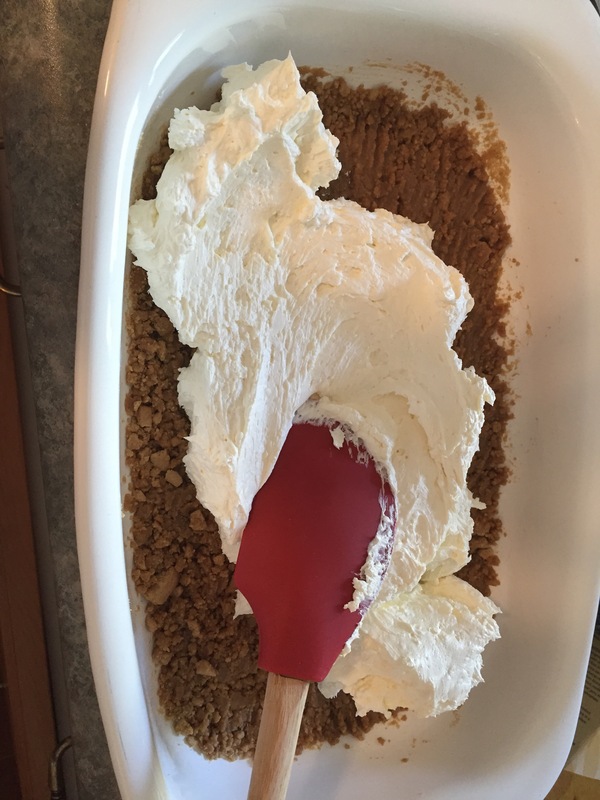 7) fourth layer: spread out the rest of the cool whip over the third layer. I like to sprinkle semi sweet chocolate shavings on top. I use a small grater. 8) And then put back in the fridge for a few hours to set! Enjoy!! Let me know if this becomes a family favourite in your home!